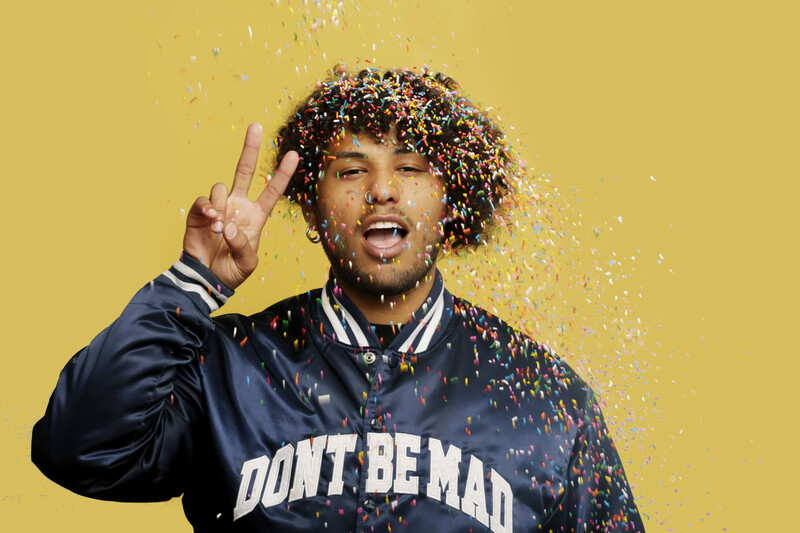 Chance the Rapper affiliate and SAVEMONEY Crew member Joey Purp finally delivers his debut studio album, 3 years after exploding onto the scene with his 2015 mixtape iiiDrops. The Chicago rap scene has been thriving in recent years, and Purp maintains his standing as one of the most creative artists from the city with this project, continuing to contrast his blunt and straightforward raps with some of the most innovative and quirky production we’ve heard on a rap album all year. Working with local jazz/funk collective The Social Experiment, the combined efforts make QUARTERTHING one of the best rap projects of the year. Similar to his last project, QUARTERTHING opens with a grand and cinematic number in “24k Gold/Sanctified”, which features R&B vocalist Ravyn Lenae. The track cascades through sections of triumphant and explosive piano loops and live percussion, harmonized choral backing vocals and quieter sections as Purp draws out a half-sung “I’m still aliiiiiive!” Purp’s emotionally charged delivery frequently sees him perfectly balance a characteristically Chicago soulful timbre and pushing his vocals to the point of a borderline out-of-control shout. The tracklisting really dives into completely unique territory with a seriously impressive run beginning with its second track, “Godbody Pt. 2”, a continuation of a track from iiiDrops introduced by none other than the RZA. Purp’s flow dexterously navigates through chaotic rolling drum fills and a seriously funky descending synth-bassline in an absolute sensory overload of a track, Purp at what might be his most technically impressive on the album as the instrumental cuts out at the most opportunistically euphoric moments. One of the greatest things about QUARTERTHING, strangely, is some of the abrupt endings and shorter tracks here, and that is because of just how versatile Purp is. When under most circumstances this might be annoying, Purp cutting off some of these tracks midsentence with a second of static before catapulting listeners into a completely different sound is absolutely exhilarating and just makes his talent all the more impressive, and makes me want to play the full album instead of individual tracks. “Hallelujah” is a shorter, celebratory track featuring some blaring horns from Nico Segal (formerly Donnie Trumpet) that tumbles into the back-to-back party tracks built for the Chicago juking dance style in “Elastic” and “Aw Sh*t!”. I’ve always loved Purp the most in this style, introduced to me with 2015 standout “Girls @”, the more minimal instrumental and Purp’s deeper vocals delivered with a fun-loving wink making a completely unique-sounding track – nobody else is rapping over instrumentals quite like these. The latter especially is a blast, Purp delivering some quotables over a skittering breakbeat and handclaps as his vocals are chopped up in the background – the track ends with what sounds like the trap version of an ice-cream truck, because why not. It’s all Purp’s off-the-wall aesthetic. Talking about this project in chronological order is a lot of fun, writing as I listen through, because every twist and turn the tracklisting takes is surprising. The title track “QUARTERTHING” shows yet another dimension for him, Purp at what might be his most aggressive delivery yet as he distorts his vocals and lowers to a menacing drawl over some eerie sliding synths, a droning bassline and off-kilter Pharrell-esque percussion. The ridiculously strong first half of the album closes with “Paint Thinner”, the only track here that’s unabashedly trap music, but Purp makes it work for him by applying a speedy yet much more straightforward flow than usual and somehow making it sound great anyway – he drops into the Migos flow for a few bars at the start of the second verse just to show how different what he’s doing really is. The second half definitely lags behind, but it was a pretty difficult act to follow. The song “2012” features a much calmer instrumental of higher-pitched synths that doesn’t really fit with Purp’s energetic yelps in the forefront – the man thrives in the chaos. The lack of distracting bells and whistles exposes Purp’s weaknesses as a lyricist for a second, his delivery sounding strangely one-note. “Fessional/Diamonds Dancing” sounds more like Purp trying to fit in with modern rap trends than anything else here, adopting a bit of a Blocboy JB slurred cadence here that feels more inauthentic than his genuine joy just to be here on every other track, while “Karl Malone” is essentially a combination of the previous two criticisms – he layers his voice in Auto-Tune and raps over a menacing sparse piano beat … OG Maco he is not, and the track drones on and falls apart. Still, the fuzzy synth-bass and quirky bleeps and bloops of braggadocio-laden track “Look At My Wrist” is no less of a complete shot of adrenaline despite the underwritten hook – I love how every aspect of the track just starts gradually speeding up at the end, like Purp is unable to be contained. “Bag Talk” and “Lebron James” are more of Purp elevating unique instrumentals with his Energizer Bunny self as well. 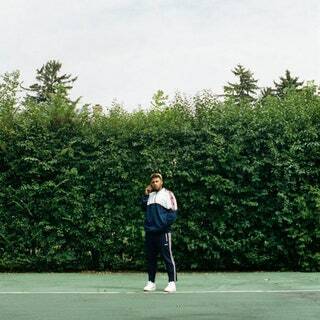 Purp, for the most part, has done something pretty incredible in creating an album that flows together perfectly in certain areas, each track impressive and engaging for a completely different reason. Even with the inconsistencies, you can listen to the whole thing and not realize that 40 minutes have gone by due to how much of a mic presence Purp possesses. I’ve been waiting 3 years to see what he could deliver on a full-length studio album and like usual, he impressed.